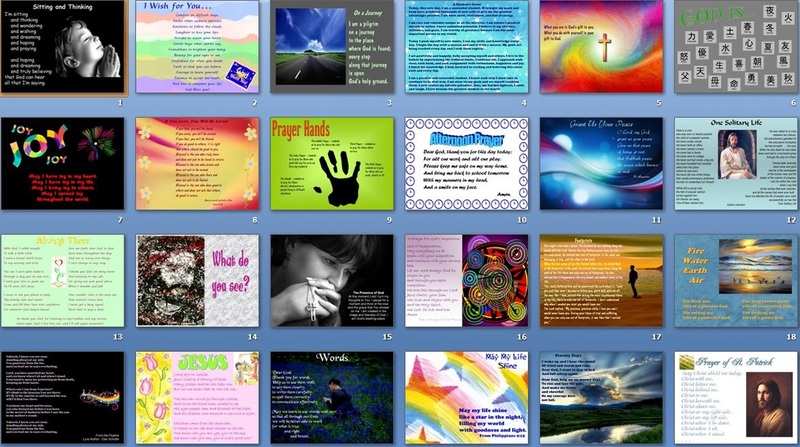 I've always taught at Catholic schools, so prayer is an integral part of every day. 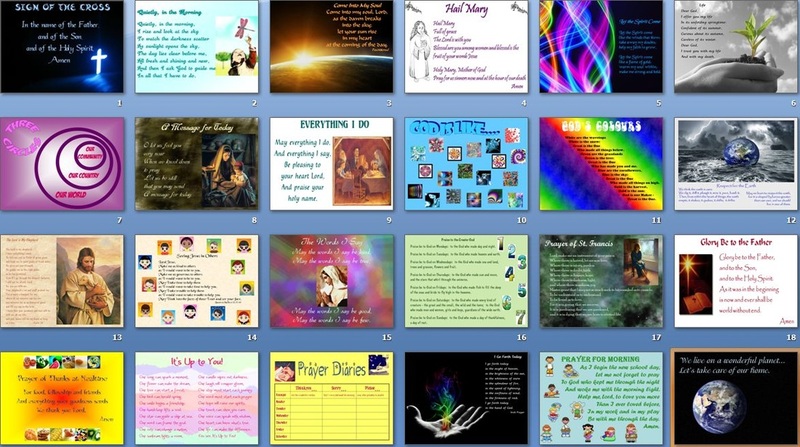 I like meaning, variety and creativity in prayer so we've always used a wide range of prayer types and methods. 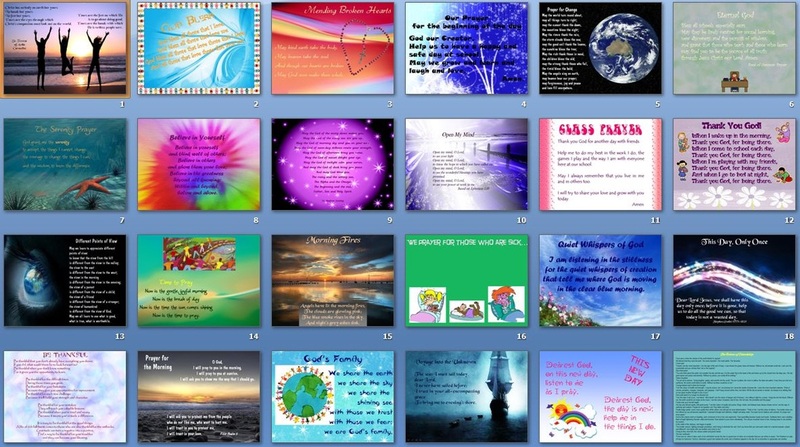 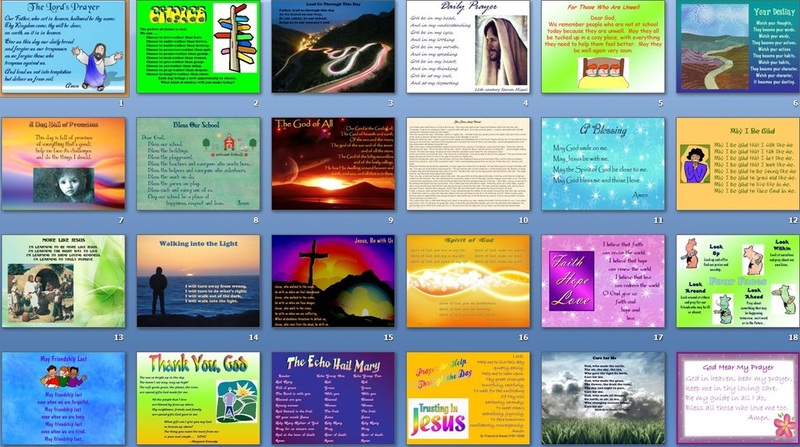 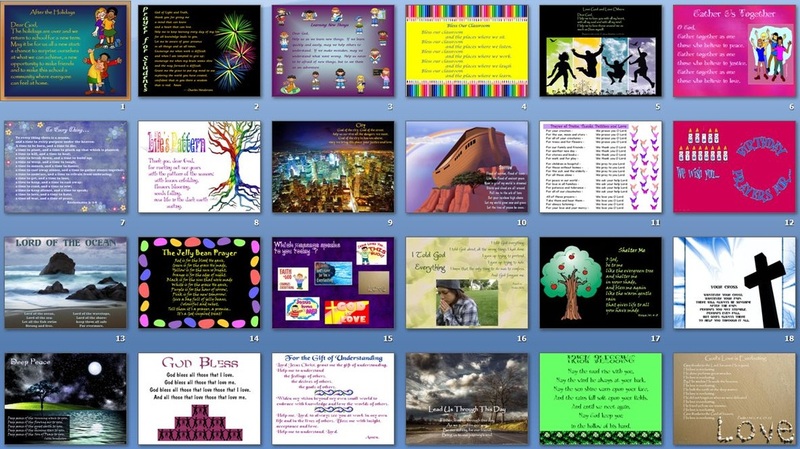 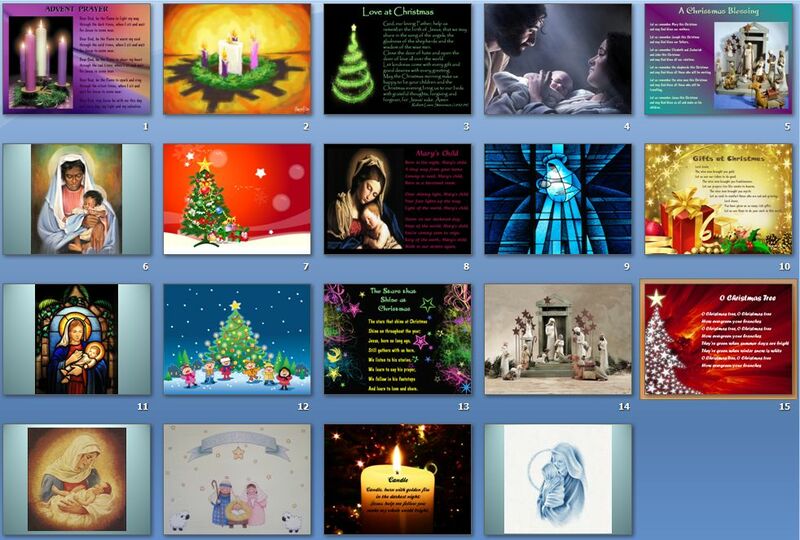 Currently, the students are using these powerpoints and other resources to facilitate our prayer time each day. 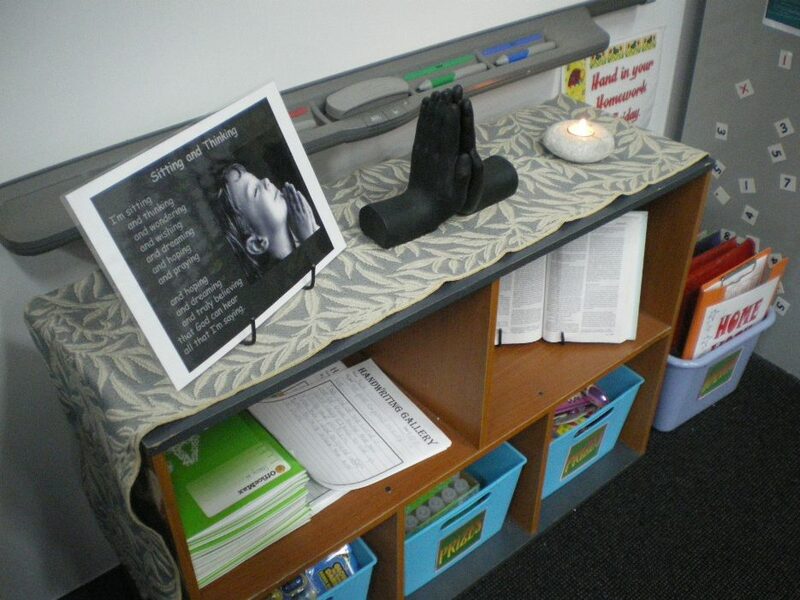 This is our prayer centre underneath the smartboard. 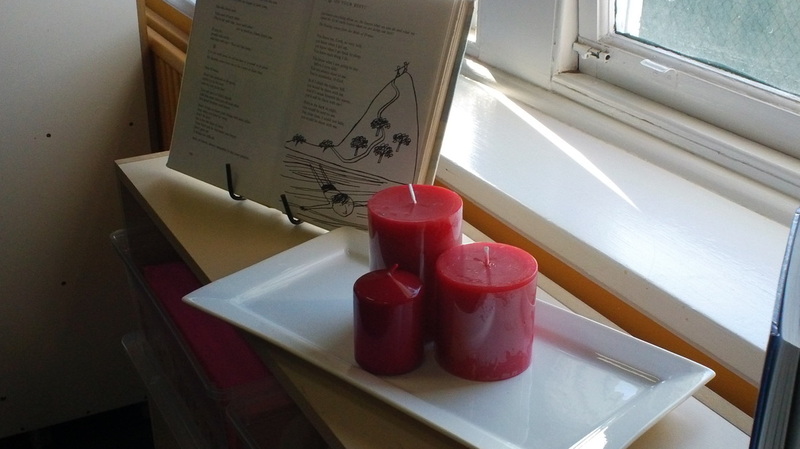 My co-teacher has a rich variety of symbols and artifacts so this area keeps changing, which is great.